Accident proof your furniture for just pennies a day. Coffee stain on your new sofa… water ring on your new nightstand… spaghetti stains on your new upholstered dining room chairs… you cannot keep accidents from happening. However, you can protect your investment with the Gardner-White Furniture Protection Plan. When you purchase our protection plan, we will repair or replace your items for the life of the plan. We will also supply you with a care kit that includes an endless supply of leather and vinyl protector, wood polish, and upholstery stain remover for the length of the plan that you can use to keep your investment looking its best for years to come. Many customers tell us that they care kit alone is worth the plan's modest price. When you invest in a Gardner-White Furniture Protection Plan and don't use it, you won't lose it! If you don't make a claim over the duration of your plan, you'll redeem the value of the original protection plan through a Gardner-White gift certificate. 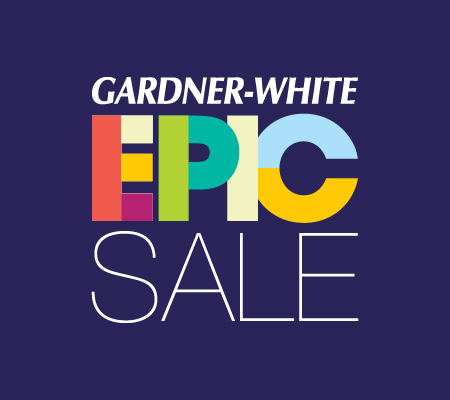 Call your sales associate to add the Gardner-White Furniture Protection Plan to your order. In addition to purchasing the Gardner-White Furniture Protection Plan, there is a lot you can do to keep your new furniture looking great for years to come. Furniture care tips are available here. 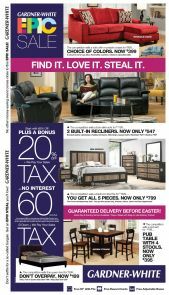 Gardner-White has Michigan's biggest selection of premium bedding lines. Bedding name brands include Tempur-Pedic, Simmons, BeautyRest, Serta, Sealy, Aireloom and Restonic. When you purchase mattress protection, for as low as $59.99 on premium bedding, you receive the Best Sleep Guarantee, which includes up to a 180-day comfort guarantee and free delivery. We also remove your old mattress for free. Only at Gardner-White Furniture can you buy a mattress today and sleep on it tonight with our same day delivery.